Payroll: it’s a word that strikes fear into the hearts of small business owners everywhere. And honestly, we get it. How can you keep on top of ever-changing HMRC regulations while paying everyone the right amount, on-time, and juggling your day-to-day work too? It’s a mammoth task. But you can’t afford another pair of hands, so aside from cloning yourself what can you do but just get on with it? Well, we’ll tell you what you can do: payroll outsourcing. That’s what. There are a host of UK payroll providers that offer outsourcing as part of a comprehensive range of payroll solutions. The provider that’s right for your business will vary depending on the number of people you employ and the extent to which you want to hand over control. To help you choose between them, we’ve reviewed 11 top payroll providers. Payroll services for small businesses: what can providers offer? Payroll solutions involve you outsourcing some or all of your payroll administration work to a specialist third-party company. Fully-managed payroll service — it does what it says on the tin. Full service payroll companies take full control of all aspects of payroll — from paying employees, to issuing payslips, generating reports and filing papers with HMRC. You can rest easy knowing your business is fully compliant with regulations. Ideal for: large businesses with lots of employees and small businesses without a bookkeeper. Part-managed payroll service — a service provided by a ‘payroll bureau’ and a helping hand for businesses that want to retain some control of the process. Imagine you’re happy to continue paying your staff, but you’d like a bit of help when it comes to filing documents at the end of the tax year. A payroll bureau offers you that kind of flexibility — and at a bargain price compared to a fully-managed option. Ideal for: small businesses with an inexperienced (or overworked) accounts team. Hosted payroll software — a secure and efficient way of storing and updating data. Even if you have an experienced bookkeeper working for you in-house your business could benefit from cloud-based payroll software. Set up alerts for missing or required data or easily distribute payslips via email. You can track expenses claims and benefits safe in the knowledge that everything is backed up on secure servers. Ideal for: businesses with an experienced bookkeeper. Pay-as-you-go payroll — ultimate flexibility for small businesses. If your bookkeeper suddenly falls ill or takes an extended period of leave then a pay-as-you-go service allows you to plug the gap at minimal cost. Ideal for: businesses that require extra help for a short period of time, seasonal businesses, or businesses with an erratic work pattern. Payroll outsourcing: what are the benefits? It will save you money. Despite the fees, outsourcing payroll is actually a more cost effective option for small businesses than hiring trained staff to do the work in-house. It will save you time. Pension, tax, BACS, payslips, National Insurance, RTI (what’s that? ), reporting, holiday, benefits — just a few of the things you’ll need to take care of if you choose to handle payroll yourself. Oh, and don’t forget everything else you’re supposed to be doing. It will save your neck. Filing payroll documents late or with inaccurate information can incur a hefty penalty fine. Don’t give HMRC another reason to come after you. It reduces error. And an underpaid worker is an unhappy worker. Payroll service providers get things right, first time. It’s watertight. Because you don’t have time to scrutinise the figures each month. Sophisticated software can alert you to time and rates abuse and other shady dealings. We reviewed 27 of the best payroll solutions available to UK businesses. We looked primarily at the type of payroll services offered, ranking those that provide both full and part-managed solutions highest. We factored in the best integrated HR solutions too. But above everything else, we favoured companies that provide the best services to small businesses. Payescape offers fully customisable payroll and hr services for small businesses. Simply sign up, enter the figures into their dedicated payroll software and let Payescape do the sums. No accounting experience required. The company prides itself on providing world-class customer service, promising to answer the phone within three rings. A bold claim indeed, so we tried it — and they did. Payescape has partnered with industry-leading organisations to offer customers the option of integrating time management, pensions, accounting and HR software with their payroll platform. Data from CSV files can be quickly and easily integrated into the system, assisting in a fast, no-fuss setup. A monthly payroll is charged at £42.50 plus £1.90 per employee. 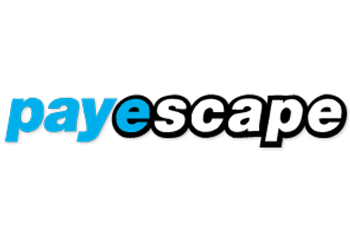 Take our word for it, Payescape is one of the best small business payroll service providers in the country. 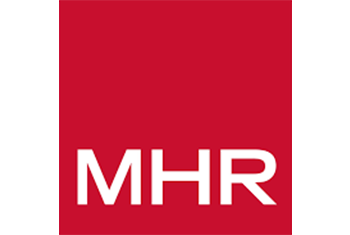 Undoubtedly one of the best payroll companies about, MHR offers a full complement of payroll services for small businesses in the UK, as well as HR and talent management solutions. There are fully-managed and part-managed payroll service packages to choose from, but the jewel in the company’s crown is iTrent — their award winning HR and payroll solution. iTrent is an adaptable service that can be tailored to your business. It empowers accounting departments with the ability to process payroll easily and efficiently. Managers can set objectives for specific employees and monitor their progress, and it allows employees to manage their day-to-day workload. The platform is fully cloud-based, meaning data is stored securely and can be accessed at any time, from anywhere in the world. 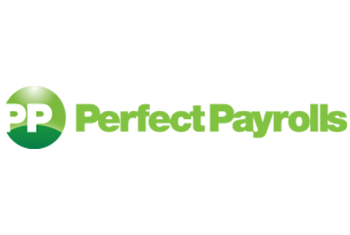 Founded in 1966, Moorepay is one of the UK’s leading payroll & HR solution providers. They support a growing customer base of 10,000 customers across the UK. Every year, Moorepay produces six million payslips and handles around 150,000 engagements, providing HR, employment law and Health & Safety advice, policies and site visits to support business owners & HR professionals. Moorepay offers both full-managed and bureau payroll services to small businesses — so you can choose to outsource full responsibility to them or just delegate some of the more fiddly tasks. Dedicated HR software can be integrated with the payroll platform, allowing you to easily track absences and expenses and adjust pay in-line with employee performance. There aren’t many providers that can compete with Moorepay as an all-round payroll solutions provider. Payroll Options is a dedicated payroll service provider. They don’t do accounts, they don’t do HR, they do some of the best payroll outsourcing work in the country. The company processes over 30,000 payslips every month for over 600 UK clients. Each payroll is processed twice before submission, by two different people. Sounds bonkers, right? But this ensures their work is of the highest possible standard. There is no setup fee, just an all-inclusive monthly charge for a fully-managed payroll service. Customer support is free and Payroll Options will work alongside your finance and human resources teams to ensure consistency across the board. 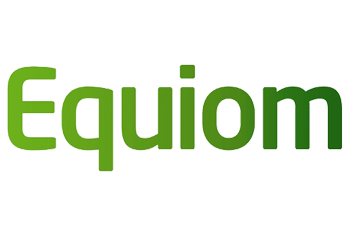 In March 2017 Equiom acquired UK outsourcing firm Eagle Consulting, and in doing so added “specialist payroll management” to their already extensive list of business services. Based in Scotland, they offer all the usual payroll services. Statutory reporting? Check. Tax deductions? No problem. HMRC compliance? Don’t make me laugh. But the best part of it all is that Equim’s service is tailored to your specific business requirements — so you only pay for the services you need. Highland Payroll Services provide a friendly and professional payroll services for small businesses. Based in Scotland, they are specialists in the hospitality, charity, recruitment and care home sectors. Pricing is clear and competitive, with charges starting at £10 per pay run plus £2 per employee. And for this they take care of everything: HMRC RTI submission, tax deductions, National Insurance contributions — Highland Payroll Services has you covered. There’s no setup fee, no fee for cancelling your contract and, uniquely among our top providers, no fee for new starters, leavers or changes to employee details. So what’s the catch? You would have thought with prices that competitive there’d be some kind of trade-off. But there isn’t one. 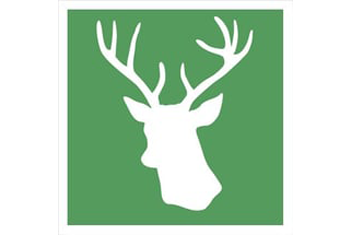 Highland Payroll services provide you with a dedicated account manager, just like the major providers, on-hand five days a week to answer your payroll questions. 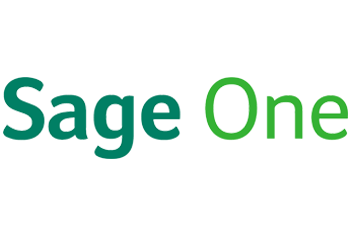 Targeted specifically at small businesses, SageOne is an innovative cloud-based platform that empowers businesses to manage their own payroll with ease. A new breed of service provider, the company offers a guiding hand, rather than conventional, fully-managed payroll services. You’re responsible for paying employees, for submitting PAYE and National Insurance data to HMRC, distributing payslips and staging pension contributions — but all under the watchful eye of their specialist advisors. Their user-friendly payroll software breaks important tasks down into easy-to-follow steps, helping you to get things right first time. But don’t worry if you do make a mistake; just amend the information in the system and they’ll handle the necessary adjustments for you. Pricing is clearly structured at £6 + VAT per month for a business with one to five employees, rising to £26 + VAT for businesses with up to 25 staff. Ceridian calls itself a “global human capital management software company”. Put simply, this means that they offer combined payroll management and HR services to over 130,000 businesses worldwide. The company offers a range of flexible payroll solutions. Customers can choose either a fully-managed payroll outsourcing service, or keep-things in-house with a subscription to Ceridian’s state of the art software system, “Dayforce”. Dayforce is a fully cloud-based platform. It acts as a central information hub for your business, holding data on HR, payroll and benefits in one place, accessible from anywhere in the world. But there’s more. Using Dayforce’s talent management facility, managers are able to assign goals to specific employees and clearly track their progress. Plus, there’s a whole section of the platform devoted to learning and development through various eLearning and webinar courses. 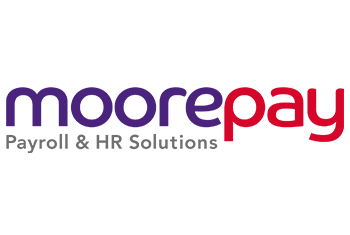 Perfect Payrolls is a dedicated payroll service provider based in the UK offering a small-scale, personalised service. They don’t offer a part-managed option, just fully-managed payroll outsourcing charged at a single fixed fee by standing order. No fuss. No nasty surprises from soaring costs. Better still, there’s no setup fee. Instead, the company asks that you stay with them for a minimum of three months so that they can recoup their initial outlays, but after that you’re free to leave whenever, no questions asked. Perfect Payroll’s service is flexible and fully scalable. If at the end of the quarter you have more employees on payroll that at the start, you’ll pay a little more. If you have less you’ll pay a little less. It’s simple, really. Plus there’s free HR support via business partners CCH. Perfect Payroll customers are allowed up to six free calls to a specialist adviser, who will help you navigate the murky world of HR regulations and employment law. 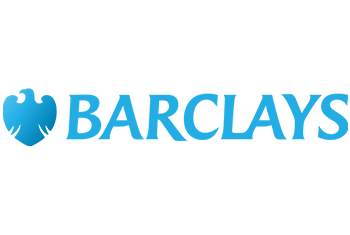 Barclays Bank offers a great value payroll service to business customers. They don’t actually perform the service in-house, but outsource it to a specialist payroll service provider. Why not go straight to the provider then? Well, Barclays is big. Really big. And the sheer volume of customers they are able to deliver means they can pretty much dictate their own prices. The first year is charged at £50 plus VAT for up to five employees, with each employee costing £50 per annum plus VAT thereafter. Services include electronic payslips, reports, extra payments such as overtime and year end reports. 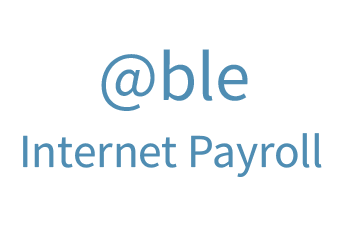 Able Payroll Bureau was the first cloud-based payroll services provider to gain full HMRC RTI PAYE accreditation. They’re trail blazers who combine auto enrolment and payroll into one monthly process, with one fee. 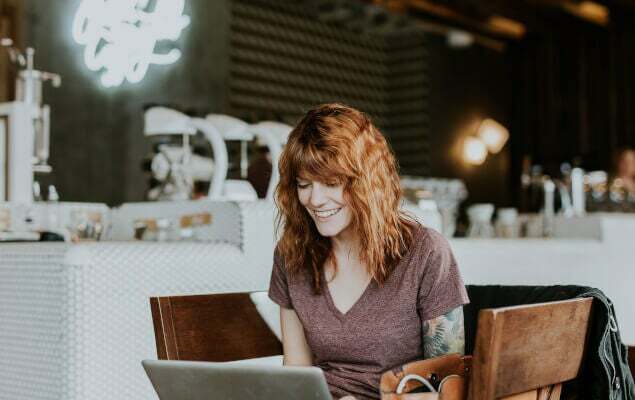 Their internet-based packages provide you with the necessary tools to complete payroll, and at the end of the tax year they’ll help you they’ll help you file all the necessary papers. Able Payroll’s software can be integrated with most databases for seamless transfer of employee information and a quick, smooth setup. They process payments for subcontractors as well as employees and hold data on payments online for up to three years — available for you to view at any time. Prices start from as little as £1 per month per employee. At this point you will have a clear idea of the type of outsourcing service you require — and you may even have a provider in mind. The next thing to consider is cost. Payroll is a competitive industry, and prices vary a lot. So to ensure you’re getting the best deal for your business it’s important you compare quotes from multiple providers. That’s where Expert Market can help. Simply click on the button below to fill in our webform and we’ll send you same-day quotes from up to six of the UK’s leading payroll service providers. The whole process takes less than a minute. It’s completely free and there’s no obligation to go with any of the companies we match you with. So sit back and let us take the hassle out of finding the best payroll solution for your small business. Because you’ve got better things to do with your time.